You can install Open CV using pip or manually. 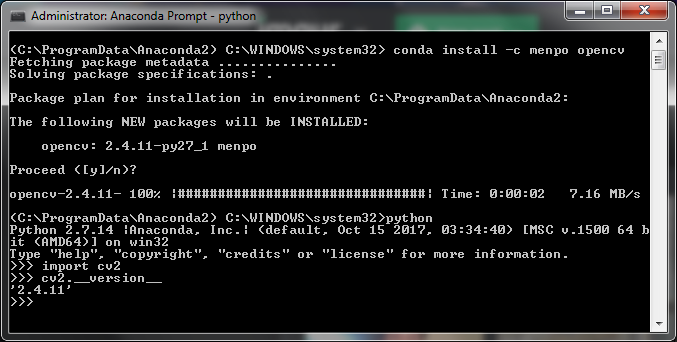 Installing Anaconda should already have taken care of dependencies for Open CV. … and done! Skip ahead to verification. But if you need to install a version(e.g. 2.4.9) that is not available through pip, you need to download that version, extract the files.